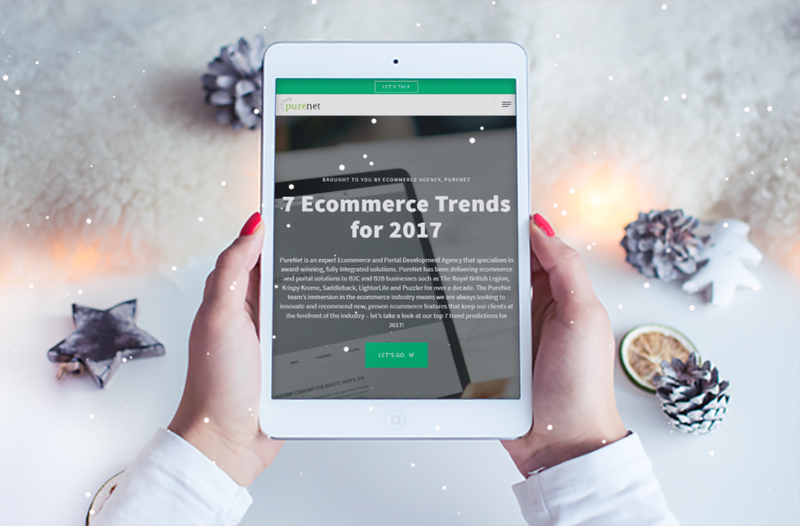 To celebrate the New Year Ecommerce and Portal Development Agency, PureNet, has revealed its predictions for the top 7 ecommerce trends that will keep retailers at the forefront of their industries in 2017! PureNet has used its decade of experience delivering solutions to B2C and B2B businesses such as The Royal British Legion, Krispy Kreme, Saddleback, LighterLife and Puzzler and immersion of all aspects of ecommerce to analyse and define its key predictions. Click here to reveal the trends.